I need to map a drive from computer "A" to computer "B". When mapping from A to B I cannot even see computer B listed in the network. When I'm on computer B I can see computer A in the network but if I try to map a drive or click on it in the network I'm asked for a username and password. 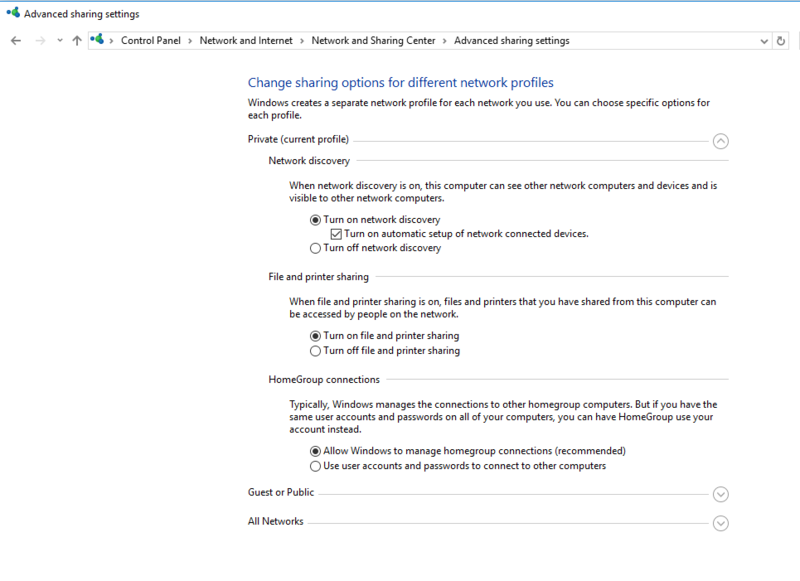 That PC doesn't have a password setup and none of my other connections have that requirement when I connect to them, just this one. Hopefully that makes sense. These problems just popped up recently. We had a few issues on the network of not seeing certain computers but that has since worked out since I made them all part of the same work group. 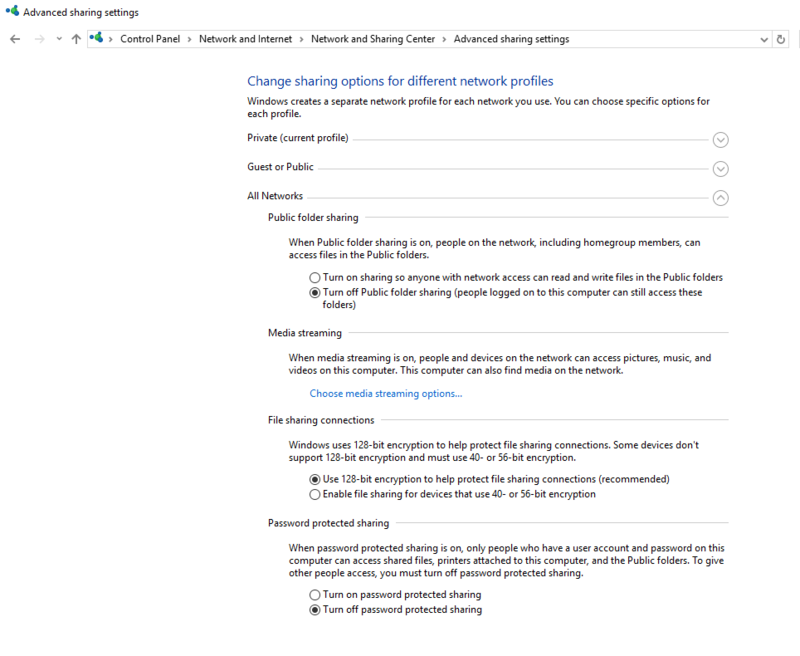 How do you have your settings for your Private Network and under All Networks ? Since you do not have or wish to use passwords, then this would need to be turned off. See if this helps to show in the Network so that the computers can then be mapped. Thanks for the reply! I actually just did a reset of my network settings on my PC and it fixed it.